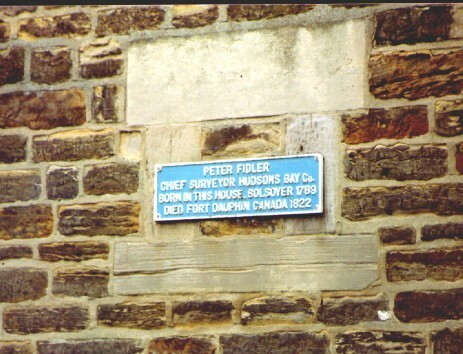 In 1819Fidler retired to Fort Dauphin. There he spent his remaining years caring for his garden and wheat field. He recorded that there was a new agricultural event flourishing near Fort Dauphin, a maple sugar industry. The unveiling was performed on the 18th August 2001, (the anniversary of Peter’s birthday)by Councillor Walter Burrows of Derbyshire County Council and Councillor Brian Hendry Chair of the District of Bolsover in the company of Larry Fidler Peter Fidler’s descendent’. Book: Peter Fidler. Trader & Surveyor. 1769-1822. Published 1913. by: J.B. Tyrrell. M.A. F.G.S. &c.